The club offers the following leagues to suit a variety of commitment and experience levels. Beginners will generally start near the top of the list, and may move down with increasing interest and experience. A great starting point for propsective new members. Show up if you can; skip if you can't. There's no commitment to a team, to buying equipment, or to a season-long membership. All you need is a clean pair of shoes. If you're new to the sport, instruction will be provided. If you'd like to play a game, we'll form some ad-hoc teams and dive in. If there's not enough people, we can very likely find somes folks from the Two-Person League (which plays just prior) to join us. The first couple sessions are free for prospective new members looking to test drive the sport. After that, if the spark turns to a flame, you can either buy a full season membership, or just pay $12 at the door each time you can make it. To join this group, contact Dave Jansen at drjansengm@gmail.com. Show up if you can; skip if you can’t. Each session typically starts with some warm-up shots, or some instruction for those that are new to the sport and want to just try it out. Next, players are divided into ad-hoc teams, which might be 4-person, 3-person, or 2-person, depending on the number of players present. Typically, one game is played, but there are no standings beyond that. Emphasis is on fun and socializing, not super competitive. Many are new curlers and snowbirds. Games are paced for more mature physiques with limited or no sweeping and delivery sticks similar to shuffleboard (eliminates balance and knee issues). Many players meet for lunch at Sven & Ole’s Pizza in Grand Marais starting at noon, curl form 1:00-3:30, then head to Moguls Grille and Tap Room in Lutsen for 4pm happy hour. Many carpool from Lutsen, and avoid the deer collision hazard in the evenings by curling in the afternoon. The first couple sessions are free for prospective new members looking to test drive the sport; all you need to bring is a clean pair of shoes. After that, if the spark turns to a flame, you can either buy a full season membership, or just pay $12 at the door. If interested in joining this group, just show up at the club during this time slot and introduce yourself, or contact Jim King at 218-663-7409 or toftemnhome@gmail.com. A traditional league with two-person teams, and two-person rules, which means less sweeping, more emphasis on good shot-making, and shorter games, about 75 minutes. 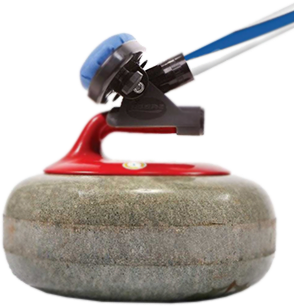 This league is excellent for beginning and experienced curlers, as players have the chance to skip alternate ends and the chance to shoot at least 18 stones a match. Sweeping is reduced to a minimum, and no standings are kept as the league is all about learning and fun. Teams are typically formed in October; many are couples. The club hosts a season-launch dinner in October, where solo players can register their interest in joining a team (or in being a substitute player) via sign-up sheet. That sheet then becomes input to others looking for a partner. Complete teams can formally register on the Registration page of this web site or via mail, typically before November 1. Players who need to miss a game typically must arrange for their own substitute from a list of interested subs provided by the club. Teams of 3 people are also allowed, where only 2 out of 3 play each game, and the third serves as a built-in sub. Joining the Two Person League mid-season is possible with some scheduling adjustments. Contact Duane Hasegawa at dkazusa@gmail.com. A traditional league with 4-person teams. Teams are typically formed in October, when people who played the previous year start talking with each other and attempt to get a group of four together. Since some teams come up short, the club hosts a season-launch dinner in October, where solo players can register their interest in joining a team (or in being a substitute player) via sign-up sheet. That sheet then becomes input to team leaders looking to fill out their team. Complete teams can formally register on the Registration page of this web site or via mail, typically before November 1. Team wins and losses are tracked, resulting in season-long standings, which become input to the formation of play-down brackets for a end-of-season tournament. Players who need to miss a game typically must arrange for their own substitute from a list of interested subs provided by the club. Failing that, or for a last minute cancellation or no show, there is wiggle room for a team to continue to play with only 3 players present. Teams of 5 people are also allowed, where only 4 out of 5 play each game, and the fifth serves as a built-in sub. Joining the Open League mid-season is generally not done, except as a sub, or to replace a player with a season-ending injury. However, contact Mark Pedersen at 218-370-8282 or pedersen.maj@gmail.com to see if there's an opportunity to make it happen. Classes will start in November at the Community Center (317 West 5th Street) in Grand Marais. $50 per couple – $10 per person after that. Please make arrangements in advance. This website was developed with funding provided by the Cook County Visitor's Bureau www.visitcookcounty.com. Looking for a place to stay while you’re in Grand Marais? Check here for a list of lodging establishments.